The economic crisis is anything but over, the “solutions” have been akin to putting a band-aid on an amputated arm. 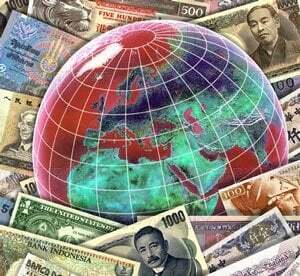 The Bank for International Settlements (BIS), the central bank to the world’s central banks, has warned and continues to warn against such misplaced hopes. What is the Bank for International Settlements (BIS)? The BIS emerged from the Young Committee set up in 1929, which was created to handle the settlements of German reparations payments outlined in the Versailles Treaty of 1919. The Committee was headed by Owen D. Young, President and CEO of General Electric, co-author of the 1924 Dawes Plan, member of the Board of Trustees of the Rockefeller Foundation and was Deputy Chairman of the Federal Reserve Bank of New York. As the main American delegate to the conference on German reparations, he was also accompanied by J.P. Morgan, Jr. What emerged was the Young Plan for German reparations payments.